South and North Korea on Friday opened a joint liaison office in North Korea’s border city of Kaesong ahead of the inter-Korean summit next week as they seek to improve cross-border exchanges and communication. Speaking at the opening ceremony, Unification Minister Cho Myoung-gyon and his North Korean counterpart Ri Son-gwon stressed that the direct inter-Korean communication channel could help bring peace and prosperity to the Korean Peninsula. “A new chapter in history begins here today, upholding the wish of (Korean) people,” Cho said in a congratulatory speech. The office, which went into operation following the opening ceremony, is co-headed by Vice Unification Minister Chun Hae-sung and Jon Jong-su, vice chairman of North Korea’s Committee for Peaceful Reunification. The two will meet every week, according to the Unification Ministry. The opening of the liaison office follows the Panmunjom Declaration signed by South Korean President Moon Jae-in and North Korean leader Kim Jong-un on April 27. The leaders are set to sit down for their third summit next week. “By opening the North Korea-South Korea liaison office, the two sides are able to candidly discuss the problems raised concerning North Korea-South Korea relations, seek necessary measures, actively propel an improvement and development in (inter-Korean) relations, and take a big step forward toward peace, prosperity and reunification of the Korean Peninsula,” he said at the ceremony. Located in the four-story building inside the now-shuttered Kaesong industrial park, the office will operate from 9 a.m. to 5 p.m. during the week, with some 30 South Korean officials and 20 North Korean officials stationed there. The office will be manned 24 hours, seven days a week. A Cheong Wa Dae spokesperson welcomed the opening of the liaison office in a statement, calling it a “firm bridge” connecting the Koreas. Some 50 people each from the two Koreas attended the opening ceremony, during which they hailed the office as an opportunity to more stably advance inter-Korean relations. Representatives of South Korean businesses that operated factories at the Kaesong industrial park were among those attending the ceremony, triggering speculation that the opening of the liaison office was aimed at reopening the industrial park. It is the first time the businessmen have been allowed in Kaesong since the Park Geun-hye administration shut down the industrial park in 2016 in response to the North’s nuclear and missile tests. 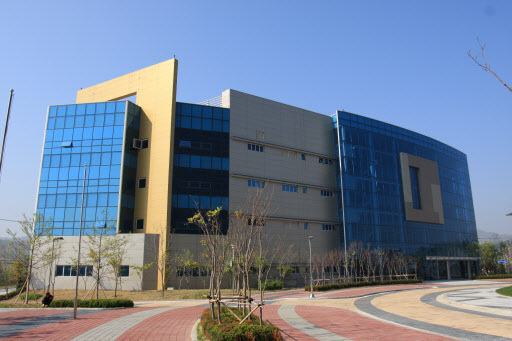 Launched in 2004, the complex was a symbol of inter-Korean economic cooperation. Shin Han-yong, who heads the group of South Korean businesses that formerly operated at the Kaesong industrial park, expressed “hope” and “expectations” for the resumption of the inter-Korean project. “If the third inter-Korean summit brings about a good result, I expect the normalization of the Kaesong industrial park could take place within the year,” Shin said at the event, calling the opening of the liaison office “the first step” toward the resumption of their businesses. The opening of the liaison office comes amid concerns over fast-paced advancements in inter-Korean relations. The transfer of fuel, electricity and other commodities for its operation also sparked concerns that it could violate international sanctions on North Korea. Washington maintains that the improvement of inter-Korean relations should go hand in hand with progress on North Korea’s denuclearization. Seoul’s Foreign Ministry said it had closely consulted Washington on the opening of the liaison office.